Do Movie Adaptations of Books Ever Live Up to the Reading Experience? Answer: For the most part, definitely not. A movie, no matter how cleverly made, cannot contend with the power of an author’s words fusing with the reader’s imagination. That connection is stronger than any visual presentation a movie can provide. There are some cases, though, in which a movie adds to the book experience in a positive way, rather than detracting from it. I will always say that reading the book is better than watching a movie based on a book. No question. However, the experience of going to the movies and seeing characters and stories come to life on the screen can be a thrill all by itself. Movies can’t recreate the reading experience, but they can allow you to glean even more enjoyment out of a book that you loved. A great example of this is the Harry Potter films. For one thing, I think it’s amazing that the films have the same actors playing the same characters; we have actually seen this people grow from children into adults. Then there’s the music and the cinematography, both so well-matched to the tone of the story. Every single Harry Potter movie boosts the original enjoyment of reading. Even despite the many instances when the movies stray from the book, I still love them because they are totally in line with the feeling of the book, preserving the energy and excitement created by the author. Like practically everyone who read the series, I was honestly sad when the last book came to an end. I felt like I was saying goodbye to a best friend, knowing I would never again meet a new character, or work out a new mystery in the common room. But just knowing that there is still the second half of the seventh Harry Potter movie coming keeps alive the magical anticipation of further encounters with his world. And for that, I’m ever grateful to moviemakers. 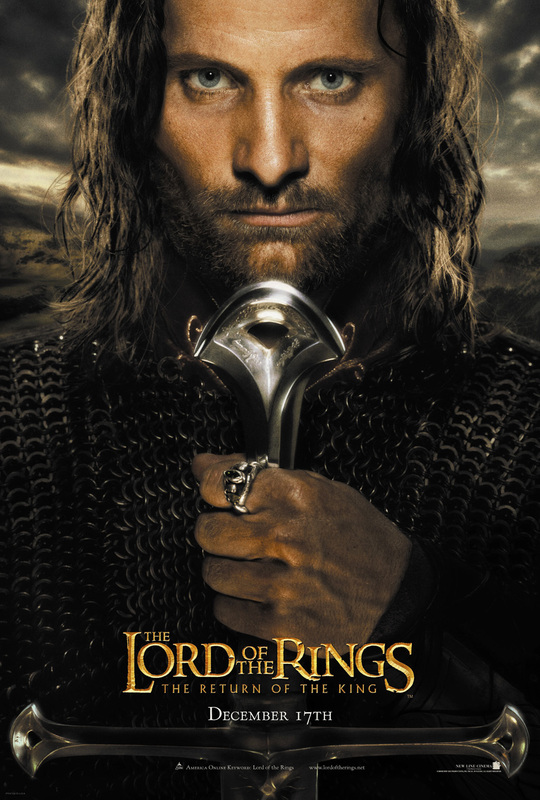 The Lord of the Rings is another example of a great book experience that was further enhanced by a spectacular trio of films. The Hobbit and the LOTR trilogy are among my favorite books, but, for me, they were sometimes cumbersome to read only because there is just so much to it; it takes an investment to read the trilogy, a worthwhile commitment, for sure, but a commitment nonetheless. The movie trilogy requires an investment, too; each film is at least 3 hours and in my opinion, the extended versions—which add another thirty minutes each—are the only ones to watch. But the movies are so incredibly well-made that every single scene is…breathtakingly awesome. The soundtrack alone is amazing; but then to pair it with perfect casting, perfect costuming, the perfect landscape…well, I can’t even justify how fantastic the movies are with my measly little words. For this article, I just want to stress that this is one of the rare cases in which a movie adds to, cooperates with, and actually heightens the reading experience. There are some book experiences that are not improved at all and often made worse by the movie version. The Lion, the Witch, and the Wardrobe comes to mind. When I read the first book in the Chronicles of Narnia, I was completely blown away. C.S. Lewis’s words allowed me to conjure the whole world in my mind, so much so that I sometimes would walk all the way into my closet and feel around in the back of the clothes rack, desperately hoping to touch fir trees and snow… But the spell was broken when I saw the full-length film at the theater. For one thing, there were a whole lot of additional scenes and convoluted details that weren’t in the book. For another thing, the character of Lucy was not at all like I imagined, nor was Mr. Tumnus, the Professor, or the whole Narnian landscape. And now, whenever I think about The Lion, the Witch, and the Wardrobe, I can only picture the movie scenes and I can’t recapture that feeling of enchantment I had from reading the book. So, though the film obviously had a big budget, was actually very well made, and had good music and special effects, it still detracted from the book. Why a moviemaker would think that they could add words and details to a nearly flawless book by one of the greatest writers in history is beyond me. Holes, again, is a book that never should have been made into a movie. I like Shia Lebouf—a lot—but he is not anything like Stanley Yelnats. More to the point, what made Holes such an awesome reading experience were the words themselves… “as for the rest of the holes, you’re going to have to fill them in yourself…” It was so brilliantly, cleverly written that you just couldn’t help smiling and re-reading, and sometimes, chuckling out loud. There’s no way in a million years that the words themselves could ever be captured on screen. Why did Louis Sachar ever agree to that? Yet another situation in which the movie actually diminished the initial joy I got from reading the book. It’s not necessary for every great book to be made into a movie. If the joy of reading the story cannot be enhanced by a movie, then it should never be considered; authors should not allow that to happen to their stories. If Holes had remained a humble, funny, endearing little book, it would have become an all-time classic. But now it has that movie associated with it, which will make people not want to read the book at all; they will never know the joy of encountering the story page by page and will lose out on a really good experience. The Harry Potter and Lord of the Rings movies are so unbelievably amazing by themselves that not only do they not detract from the reading experience, but, if anything, they would actually encourage people to read the books, just so they can pick up on any of the details that there wasn’t enough time to fit into the film. The whole point of a movie being made out of a book should be to further enhance an author’s creation, not to break it apart and recreate it into something that it never was. If a movie is not true to an author’s vision, no matter how well-made, it is a failure. P.S. For anyone who has seen the movie Holes but not read the book, I heartily recommend reading the book; it really is one of the best little book treks I’ve ever been on.